Full hookup camping. This is the most expensive type of camping, but there are bargains to be found. Full hookups usually include connections to electric, water and sewer, but some campgrounds will also provide cable TV, telephone and other amenities. This is the most expensive way to camp, but you can still find cheap camping. Most private campgrounds that provide full hookups also give you the choice of partial hookups only (electric or water and electric, but no sewer) for a cheaper rate. Boondocking. Boondocking, also referred to as dry camping, refers to camping in natural areas without amenities. Boondocking is one of the least expensive kinds of camping as you are not paying for utilities, clubhouses or a lot of amenities. Boondocking is common on public lands like Bureau of Land Management lands in the western states. There are sometimes boondocking opportunities in National and State Forests and other public areas. Many boondocking sites are free or very inexpensive. Overnight Parking. This is sometimes referred to as parking lot camping, and is free, dry camping that is usually only appropriate for overnight stays. Town and county ordinances as well as businesses will regulate overnight parking in store and business parking lots, but experienced RVers know that certain businesses welcome overnight RVers as long as there are no town ordinances against it. Many discount stores, truck stops, some restaurants and many big box stores will allow free overnight parking. Some of the ones we've used have been Walmart, Sam's Club, Costco, KMart, Flying J truck stops, and Cracker Barrel restaurants. It's always a good idea to get permission from the manager before parking overnight. One way to get great discounts on full service campgrounds is to buy a membership in Escapees (15-50% discounts on participating campgrounds), Passport America, a 50% discount club, Camp Club USA (50% off camping) or another discount club. Memberships cost in the $50-$75 range and are usually well worth it. We belong to Escapees because we love their club and Passport America because they have many participating campgrounds all over the country. All of the clubs will provide a campground directory of participating campgrounds. Although they offer great deals, many participating campgrounds have restrictions on when the discount can be used, i.e., Monday thru Thursday or off- season only. Some also have restrictions on how many days you can use the discount. This is especially true of discounts at resort style parks as they use the discounts to draw campers in to try their facility in hopes that they will stay longer at the full price. For those unfamiliar with term "dispersed camping", it refers to camping where there are no designated sites. Campers just find a spot they like within the area and set up camp. This kind of camping is most often done on Bureau of Land Management or National Forest land. Check guidebooks or with the management offices for regulations before setting up camp. Camping on BLM land usually means boondocking or dry camping. I recommend buying a copy of Adventures on America's Public Lands published by the U.S. Department of Interior and Bureau of Land Management to get locations of and directions to BLM (Bureau of Land Management) campgrounds and dispersed camping. You can also find this information on the internet, but having a hard copy is handy when you are out of cell tower range. We also like to make notes in our directory about the area. 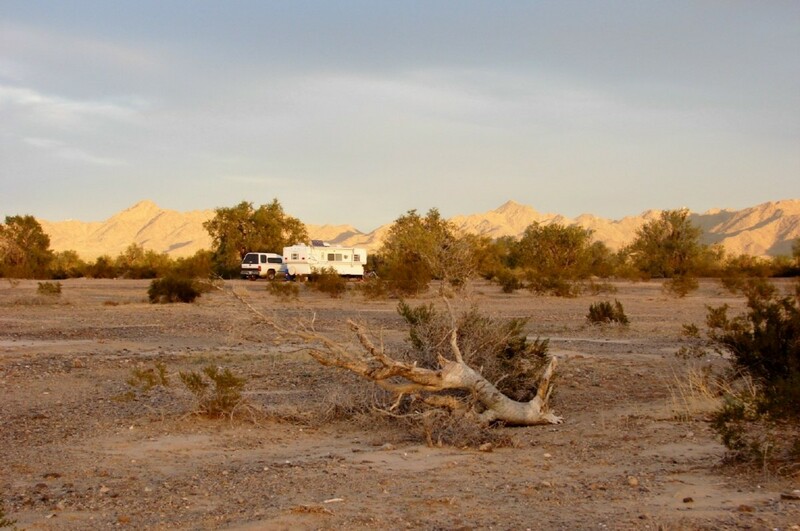 Boondocking on BLM land is one of the cheapest ways to camp and thousands of RVers spend their winters in Arizona or California for just a couple of dollars a day. For example, the LaPosa BLM Long Term Visitor Area (LTVA) near Quartzite, Arizona charges $40 for two weeks or $180 for seven months of camping, and you can move from one area to another within the LTVA on your permit. There's even a place where you can fill up with water and dump. In other areas where dispersed camping is allowed on BLM lands, camping is free. Camping in National Parks is a wonderful way to see the most incredible, scenic wonders of the United States. 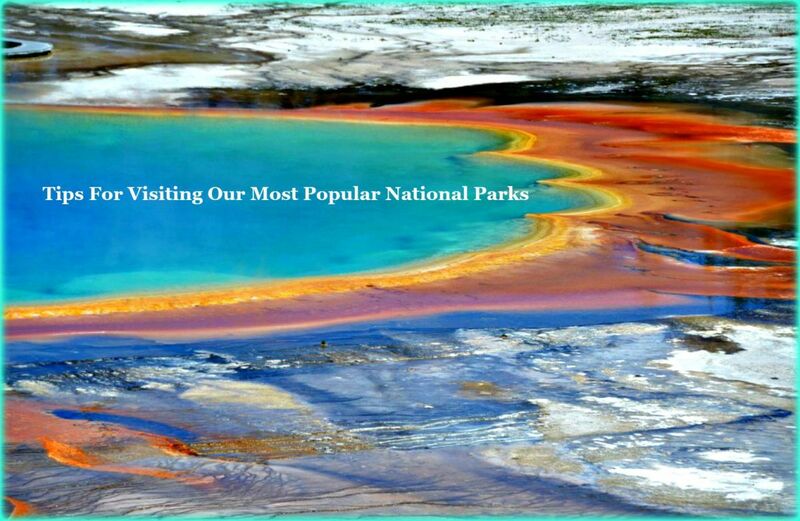 The National Park Service has inter agency permits which are good at these participating agencies: National Park Service , U.S. Department of Agriculture Forest Service, Fish and Wildlife Service, Bureau of Land Management and Bureau of Reclamation. If you are a senior age 62 or older and you are a U.S. Citizen or Permanent Resident, you are eligible to purchase the America the Beautiful – National Parks and Federal Recreational Lands Pass – Senior Pass. For a $10 fee you get a lifetime membership which allows you free admission and discount camping (usually 50% off) at the participating agencies listed above. It's the world's best deal! National Forests are another place to camp free or cheap. Many National Forests have free places to camp as well as regular campgrounds. Most National Forest campgrounds honor the America the Beautiful passes, but even without it, their campsites are a good buy. National Forest campgrounds may be in areas off the beaten path, but they are cheap and often have surprising amenities like electric and water. Even if the campsites are dry camping only, the National Forest campgrounds usually have a dump station and water available. 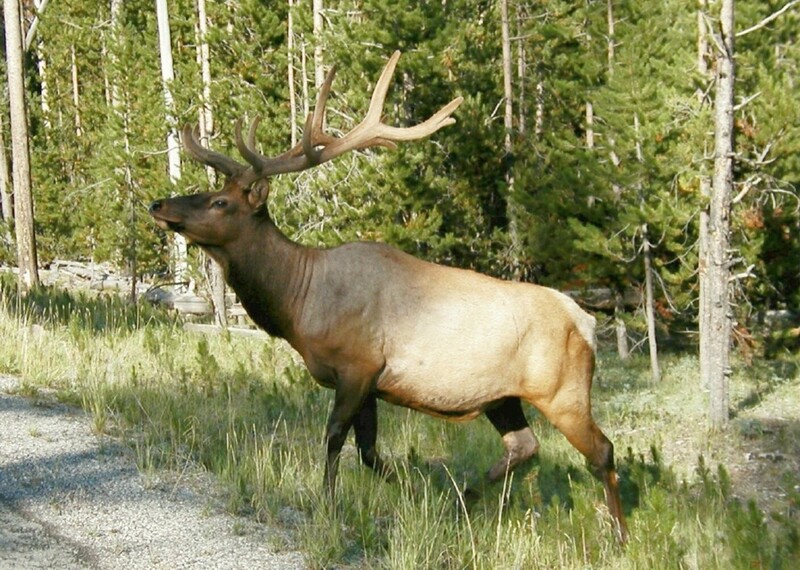 There are several guides available to help you locate National Forest campgrounds, but the one published by the National Forest Service is probably the most extensive. Because some of the camping areas are in remote areas, it's a good idea to make sure that your rig will fit in the campsites before you go -- do call ahead. 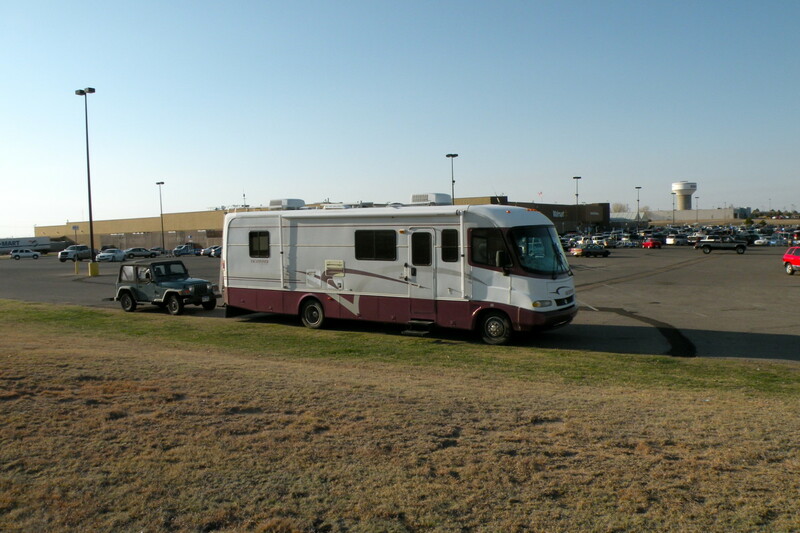 Many WalMarts, like this one in Dodge City, Kansas, allow RV's to park overnight for free. Many businesses, big box stores, discount stores and truck stops allow free overnight camping in their parking lots. Walmart is a popular place for travelers to stop overnight, but you should be aware that there are some towns which regulate against overnight parking. Always ask if it's o.k. Also, please don't abuse the privilege of parking at businesses: Do ask permission. Do patronize the business where you park. Don't stay more than one night. Don't bring out grills and chairs. Do park out of the way of regular customers. Many truck stops also allow RVs to stay overnight. Be sure to park in designated areas and don't take up space in areas reserved for tractor trailers. In some states, you are allowed to park free in rest areas and roadside pull-offs. If you choose any of these options, be sure that you are legally parked and in a safe place. If in doubt, don't stay. Another option for good overnight or longer parking is city and county parks. These are sometimes not listed in directories, but the city Chamber of Commerece or Visitor's Center can give you information. Casino camping is often free or very cheap. Many casinos have separate parking lots for RVs and allow campers to stay free for overnight stays or for several days. Some casinos offer free electric and dump stations, others have more amenities. To take advantage of this great deal, either call ahead or check with security when you arrive and ask if overnight parking is allowed and where they would like you to park. There are several websites listing casinos all over the country that allow RVs to park overnight or longer. (Google "Casino Camping" for information sites). 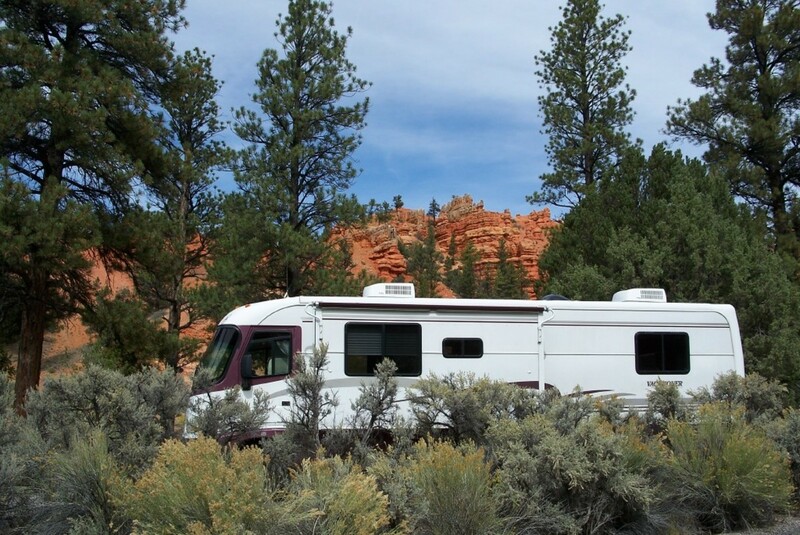 In return, most RVers will go inside to dine or gamble a little, but it's not required. There are Casino camping guides in hardcover as well as on the internet. When looking for great places to camp, don't forget to check out Core of Engineer campgrounds which are often near water. COE campgrounds are usually well designed and have sites with full hookups as well as electric and water. Holders of the America the Beautiful National Park senior or disabled pass can get a 50% discount on camping fees. Some COE areas have dry camping areas that are either free or very low cost. Town and city parks and fairgrounds are also places to check out in your search for inexpensive camping options. They are sometimes harder to find, though we've found that city and state information centers have a wealth of useful camping information. Even those on very tight budgets can usually find camping to fit their needs and lifestyles. Trying new places and new styles of camping can open doors to scenic adventures that you never dreamed possible. Happy Trails! Where in the United States can I find the cheapest long-term stays for travel trailers with water, electricity, and sewer included? 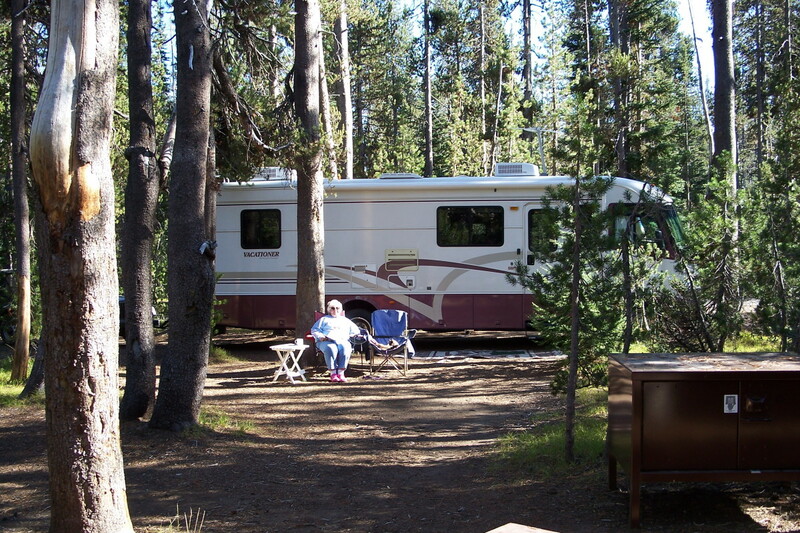 Many campgrounds offer seasonal prices for those who want to stay long-term. I would check in the southern states because they are most likely to be open year around. I can't give you specifics, so you'll have to do that research on your own by calling individual campgrounds. Doesn't it get a bit uncomfortable inside the RV without heating and air conditioning when you are not running the generator? Depending on the heating system in your RV, you can usually run it without the generator, at least for a while. We purchased a small propane heater that we use when it's really cold. As for AC, you can't run it without a power hookup or generator. Open windows! :) If it's really hot, we spend time outdoors and run the generator for a couple of hours at night with the AC on to cool off the rig before bedtime. Then open windows. Dry camping in places where nights don't cool off can be uncomfortable. In that case you have to decide if your comfort level is worth paying the price for a campground with electric hookups. Sometimes the answer is yes. Are there any campgrounds near Myrtle Beach, SC where we can find full hook up camping for under $300 a month? I don't know of any camping around Myrtle Beach that would be that inexpensive. We've found that the campgrounds/resorts are pricey and even the state parks top $30 a night. You can call campgrounds in the area and see what their seasonal rates are, but I doubt that you'll find anything in that price range. Yes, prices went up last year. Thanks for the update! It is still a bargain, though! For those who are able to camp host and/or do light chores around a campground in exchange for a campsite, there are opportunities. However, these volunteer jobs can require a commitment of anywhere between 1-6 months or more. If interested, you must apply well in advance as some of these positions are highly competitive if they are in more desirable locations. Check individual park websites for more information on how to apply. *State parks offer free camping if you’re interested in being a host at their parks. In all states i believe. I've been enjoying reading your articles. My wife and I just finished our first year of full-timing this month and we love it! We ended up finding a really nice trailer park lot here in NE that we use as our home base, and then I travel for work (self-employed commercial door and Hardware installation). All the tools I need fit in my truck and we pull our 33ft travel trailer behind. We have taken advantage of some of these cheap options but I really appreciate finding a comprehensive list in one place, as my wife and I would really like to expand our travels to some of the beautiful parks in the country. If you don't mind boondocking, check out the Imperial Dam Recreation Area. There are lots of BLM areas in California. Check out camping on Public Lands. I am searching for long term parking in Ca area, I am a senior and we are living out of our RV traveling around at this moment. pbtwins - Glad you enjoyed the article. No, we do not leave the engine running when we use the generator. There's absolutely no reason to do that as the generator is it's own power source. We only use our generator to power the microwave or to watch tv when our solar can't keep up. Running your engine would not help with either of those things. Most people do not run either their engines or their generators while sleeping (overnight). 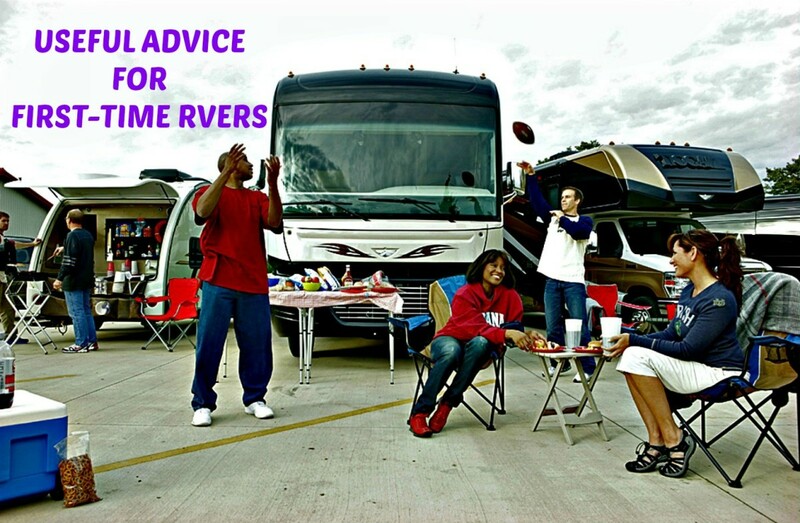 If you are a newbie at RVing, you should definitely read the instructions manual for your generator. I know that these manuals tend to get lost after a number of years, but you can often download copies from the internet. We've had to do that for several of the appliances in our motorhome. Loved your article :) I am a newbie and have many questions, but the most important one is Do you keep your engine running when you use the generator? how does that work? I would be scared to leave the engine running and have it slip into gear and we start rolling along while we are sitting/sleeping! we have a 1993 fleetwood flair class a, Thanks! Thank you, Rachel! I'm so glad this article was helpful to you. Keeping track of your daily expenses will help you with the big picture. It's nice to have some guilt free splurges now and then if you've been living frugally. Best wishes on your RVing adventures! Hi Kim, My husband says that a Honda is a good one because it is quieter than most others. When you use a generator while boondocking, you always need to consider how the noise will affect your neighbors! Good luck with your new adventures! Thanks, Audrey! I always appreciate your support and encouragement! DzyMsLizzy - Sorry I didn't define "dispersed camping" in my hubs. Thank you for pointing that out-- I will remedy that! Dispersed camping is camping on land that has no designated campsites. In other words, campers just find a spot they like and park on it. Mostly, people do this on BLM land or some National Forest land where it is allowed. I've always been a tent camper; I always thought RVing would be taking my housework with me to camp! LOL After all--I'm on vacation, and I can scrub sinks and toilets and sweep floors at home! Growing up, I camped with my family in quite a few Forest Service campgrounds; they are quite nice, and yes, mostly dry camping, but that's what you're doing in a tent, anyway. ;-) They do have water faucets, albeit sometimes a half a block distant from your campsite. That said, You have a couple of times referenced "dispersed camping," and I have no idea what that is. The words are underlined as a link, but all those links do is take me to another of your articles with the same words! Could you please explain what this is? TeriStohlberg - You can sometimes get a really good buy on a used RV by buying it privately, but be sure you have someone go with you who knows something about RV mechanics if you consider doing that. I would suggest that you look for something that has an interior in very good condition and with low mileage. RVs are expensive, but you can sometimes get a really good deal if you look around. Good luck! This article was very informative. I don't own an RV now, but am hoping to in the future. I am wondering how to save money on the purchase of an RV, because they are very expensive. Penny G - You are welcome! Glad you found this useful! Penny G - I'm sure you'll be able to find several different job opportunities on the road, especially with your husbands background. Good luck with your new lifestyle! This was helpful. We are collecting all the information we can as we will be moving into an RV/fifth wheel in our approaching retirement. 2 years, 8 months and 11 days, who's counting, right. We are heading to Grand Canyon and Sequoia National park we think. May be looking for a retiree job. My husband has a degree in Wildlife Biology, he has never used. Thank you for all the info....we are retiring within the next few years and have plans to travel in our RV...so this really helps. We take short trips now but are wanting to expand our horizons in the future!! You mentioned an America the Beautiful Lands pass....how do you get it. Do you have an address? Thanks again. 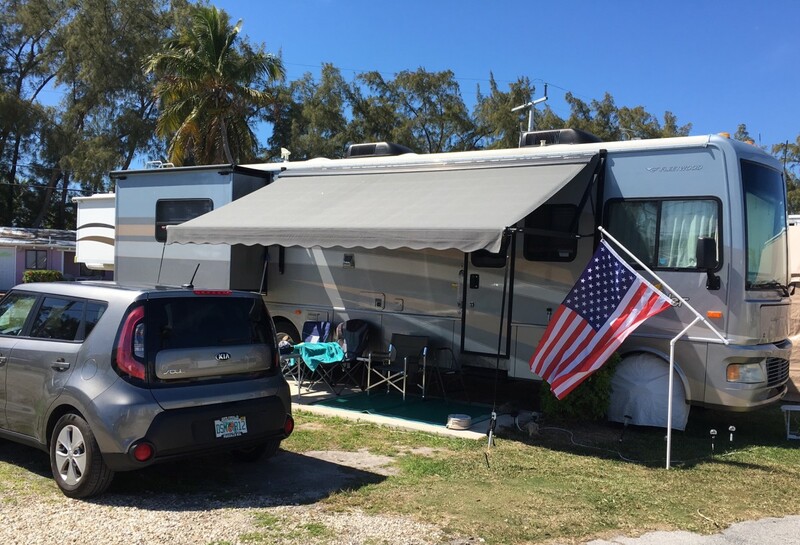 Rebeccamealey - You might decide that you love RVing if you give it a try! 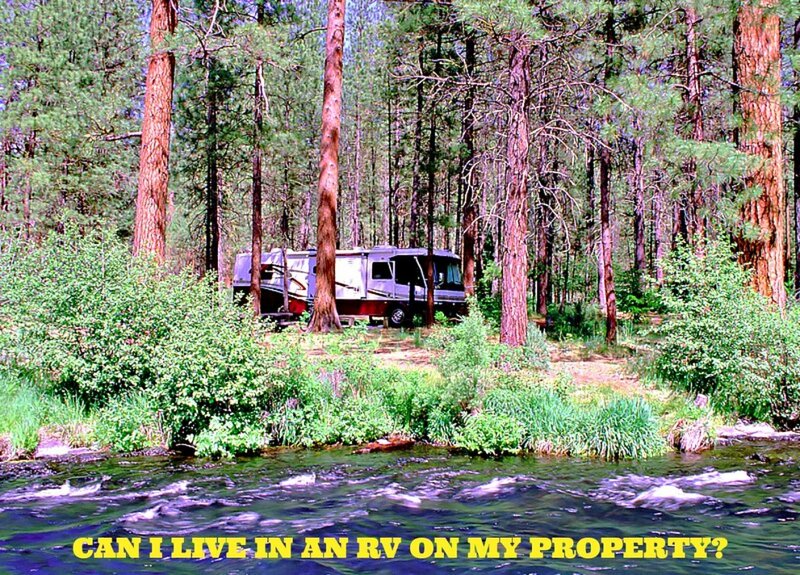 :) The RV lifestyle can be rewarding, exciting and lots of fun, especially if you take advantage of all of the free and cheap activities and camping opportunities available. Thanks for stopping by to read and comment! Gosh, I might have to look into this RV lifestyle. It sounds like it might be quite blissful. Thanks for sharing this. Hello Ms. Dee - Yes, we have done camped for a couple of months at a time near our children. One of our sons had a nice spot on his property where we could camp. Other times we stayed in a local campground near relatives. If you know you want to stay in a campground, check to see if they will give you a weekly or monthly rate. Depending on where you are going, there may be other low cost possibilities, but city and state parks usually have a time limit on how long you can stay. It's a good idea to do a little research ahead of time. Good luck and happy travels! Hi! Have you ever just sat in one camping place for 2-3 months? We are wondering about taking up fulltiming and sitting that long near where relatives live in apartments (so not their own homes.) I think from what you are saying the thing to do is to get local information on low-cost camping possibilities for particular city areas. Right? Thanks for reading my hub, Stumpyjim. 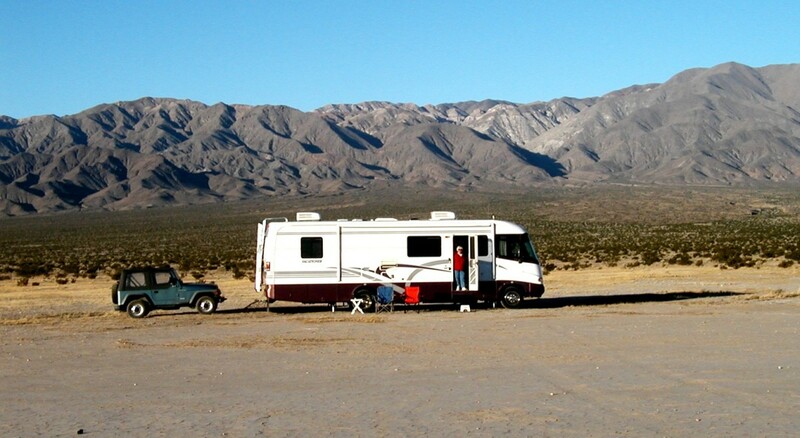 RVing is a great way to travel, and there are many less expensive options for RV camping. Some of the best and most scenic places are the least expensive. I enjoyed your hub. I never knew about some of the less expensive sides or rv camping. I always assumed it was going to be expensive no matter what. Thanks for the info.